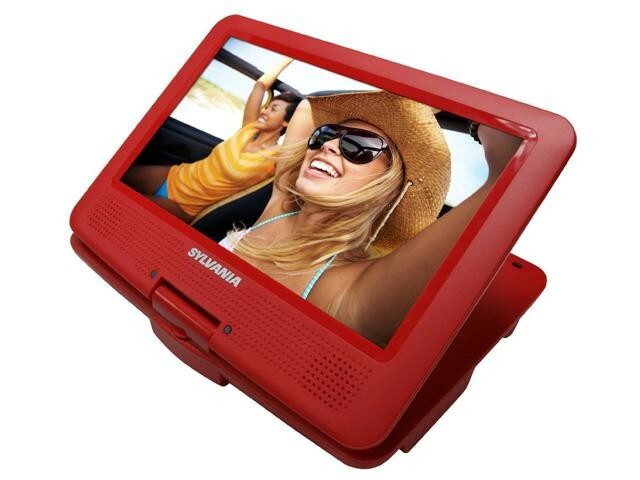 This Sylvania 9" Swivel Screen Portable DVD/CD/MP3 Player is in great working condition.The unit has been fully tested and is completely functional. 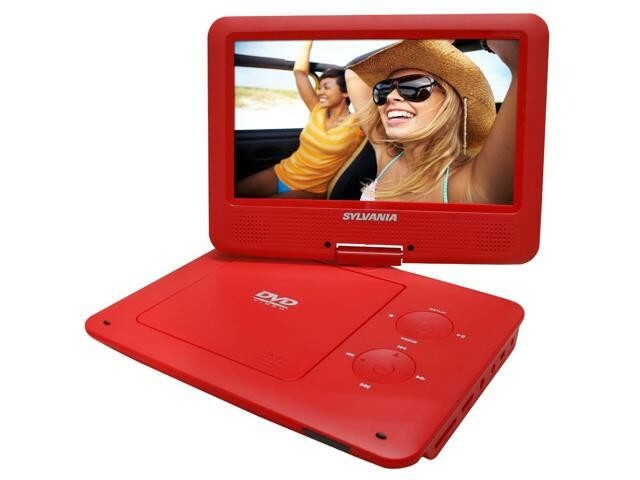 Included in the Box:SYLVANIA Portable DVD Player, Remote control, AC power adapter, DC Car adapter, A/V cable, Earphones, and Manual. 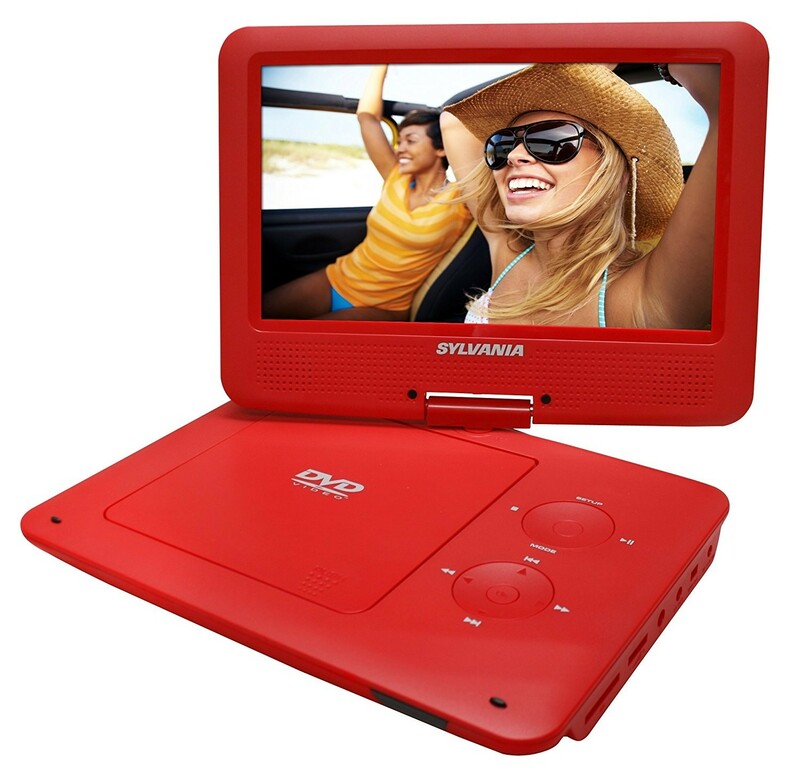 The red SDVD9020B 9" Portable DVD Player from Sylvania offers a 9" LCD display and multi-format playback. 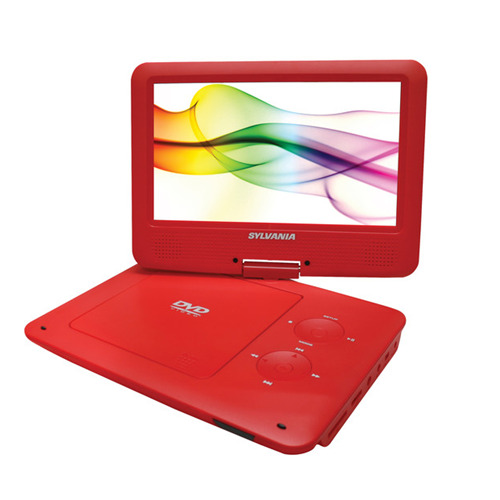 This portable entertainer also has a 180 degree swivel screen, so you can achieve an ideal viewing angle whether you're using it at home or on the go. 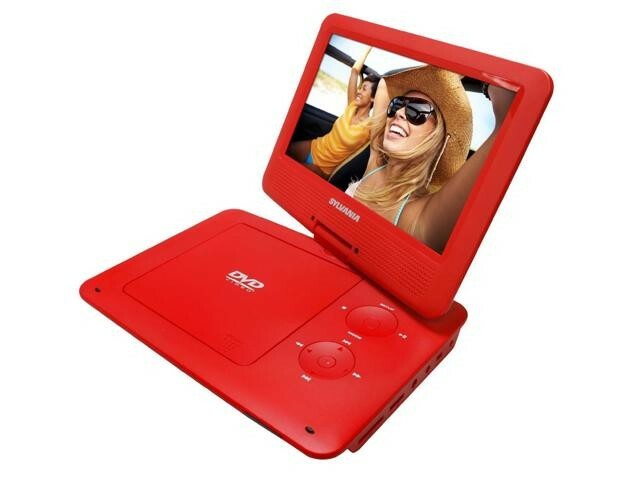 With built-in speakers, the SDVD9020B can play your DVDs, CDs, and also supports MP3 and JPEG photo files. In addition to watching movies you can listen to music and show off personal photos. It also comes with an internal rechargeable battery. The unit includes an AC adapter so you can plug it into a wall outlet. Additional features are a headphone jack for private listening, an audio/video output so you can hook it up to your TV and speakers, and a remote control for making adjustments from a comfortable distance.